The number of Chinese students studying science and technology increased from 359,000 in 2000 to 1.65 million in 2014. In the U.S. the increase was from 482,000 to 742,000. In 2012, China’s private equity and venture capital investment was $14 billion; $120 billion in 2017. Last year 34 Chinese companies became “unicorns” with market values of $1 billion or more, second only to the U.S. The big question is whether a lack of free expression and intellectual flexibility will diminish creativity. We all know that on a Gross Domestic Product basis, China is the second largest economy in the world and, if it continues on its present trajectory, it will become the largest economy sometime in the 2030s. This is inevitable to the extent China grows at a real rate of better than 5% while the United States grows at only 2%–3%. On a Purchasing Power Parity basis, China is probably the largest economy in the world now. When China joined the World Trade Organization in 2001, its GDP was only 13% of the U.S. GDP, according to Niall Ferguson. By 2016, it was 60% and by 2023 the International Monetary Fund projects it will be 88%. Those who believe China is vulnerable to a “hard landing” or something similar to the deflationary recession that afflicted Japan at the end of the 20th century are not studying the differences between the two countries carefully. Japan invested abroad irresponsibly in real estate and its stock prices domestically became wildly overvalued. China may have over-invested in industrial capacity and infrastructure and it may have too many non-performing loans on the books of its banks and shadow banks, but it weathered the financial crisis of 2008-9 better than most developed countries. Indeed, the hard landing that many investors feared two years ago never took place. A look back in history may be useful. In a blog written by Steven Nagourney, he points out that in the years after 1000 A.D. China had been the most progressive and innovative civilization in the world. It had developed strains of rice that could be wet-planted and produced three crops a year. The British observer Francis Bacon noted that three innovations that had transformed Europe — gunpowder, printing and the compass — had all been developed in China before 1000. In the twelfth century, China was thriving, with 100 million people, and in the fifteenth century its navy explored the world. By the end of the nineteenth century, however, Malthus’s predictions for China were proven right, and there wasn’t enough food to feed its 300 million people. To a certain extent, the country was in a crisis because of its insularity. The farmers had no mechanized equipment or fertilizers. Economic and technological leadership had moved to Europe and the United States. The country went through 100 years of upheaval prior to Mao’s takeover in 1949. It was underdeveloped and its economy was basically feudal until 1976 when Mao died. He is credited with being the founder of modern China, but his reign was marked by the Great Leap Forward, which created a famine during which 30 million people died, and the Cultural Revolution, which was a significant step backward in the country’s overall intellectual and economic progress. Following Mao’s death, Deng Xiaoping set the country in a new direction that built the foundation for today’s success. In a controversial book written by China expert Michael Pillsbury and published in 2015, the author lays out a case that Xi Jinping, the current leader, has been advancing a hundred-year plan to make China the dominant country in the world economically, politically, technologically and militarily by 2049 – the hundredth anniversary of Mao’s takeover of the government. Critics of the book argue that it is weak on documentation, but when you examine what is happening there in technology, it would appear that China is well on its way. Graham Allison’s book, Destined for War, outlines a similar warning. You can debate about whether the Chinese political system will work effectively in the long term, but the economic achievements are undeniable. Over the thirty years I have been traveling there the progress has been impressive. 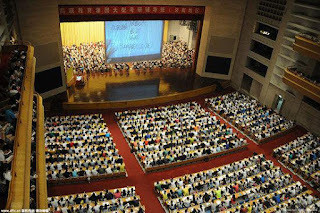 While the freedoms that we are accustomed to in a Western-style democracy are not present in China, the population generally has been willing to accept various limits on personal freedom because the standard of living has risen so dramatically. The big question is whether a lack of free expression and intellectual flexibility will diminish creativity. This is particularly relevant since by next year China will be spending more money on research and development than the United States. In 2012, according to a Bloomberg report, China’s private equity and venture capital investment was $14 billion; it was $120 billion in 2017. Last year 34 Chinese companies became “unicorns” with market values of $1 billion or more, second only to the number in the U.S.
China’s leading technology firms Baidu, Alibaba and Tencent Holdings are growing as well. The government wants to be involved and has proposed taking a 1% position in some of the more successful companies, arguing that this involvement can improve productivity. Perhaps more importantly, these arrangements provide Chinese leaders the ability to exercise control over what is happening in technology. The state also plays a direct role in the investment in start-ups. There are more than 1,000 government-owned venture capital firms in China, with assets totaling $750 billion. All of this is consistent with China’s Manufacturing 2025 initiative, which is designed to reduce its dependence on foreign imports by the middle of the next decade. Many in the West are familiar with China’s progress in information technology. In 2012, the country had none of the world’s five fastest supercomputers and the U.S. had two. By 2017 the U.S. still had two, but so did China. What is less well-known is China’s advancement of biotechnology. Let’s start with genomic medicine which, according to a Goldman Sachs report, is flourishing in China. In 2016, the government launched a 15-year project, the China Precision Medicine initiative, with a $9.2 billion budget. The effort has focused on early cancer diagnosis and, more recently, gene editing, gene therapy and cell therapy. China’s program is similar to the United States’ program in intensity and ahead of those in Europe and Japan. Some clinical trials, particularly in myeloma patients, have shown promising results. China has a cost advantage in its treatment options also. It is collaborating with a number of global partners and has announced an accommodating regulatory framework for all therapies. The area of gene editing is controversial, and Europe and the United States have taken a cautious approach. China has become the leader here with nine clinical studies of cancer and HIV infections versus only one in the U.S. The studies were at top-tier hospitals and were government-sponsored. The National Natural Science Foundation of China is very active in this field. China is also working hard on the manufacturing aspects of genomic medicines. China has also taken the lead in agricultural research. As the Wall Street Journal reported, government spending on agricultural research passed United States spending in 2008 and is now over $9 billion compared with just over $4 billion for the U.S. (down from over $5 billion). The focus is on gene-editing to increase domestic food production. China is also the leader in cell therapies designed to treat, and perhaps cure, illness by using the body’s own biology. There are more clinical trials underway there than in the U.S. The research, according to a report from Nanjing by The Big Red Biotech, is benefited by a friendly regulatory environment, low labor costs and expertise in precision manufacturing. There are 116 clinical trials for cancer treatment therapies taking place, compared with 96 in the U.S. and 15 in Europe. China is an ideal place for cancer research, with a large aging population, unhealthy lifestyles and serious pollution. There were 4.3 million cases diagnosed in 2015, double the number in 2000. Cell therapy is defined as medical technology rather than a drug, so a trial can be approved by a hospital’s internal ethics committee rather than the Chinese Food and Drug administration. Trials can begin two months after they are proposed, versus a year in the U.S. The number of Chinese students studying science and technology increased from 359,000 in 2000 to 1.65 million in 2014. In the U.S. the corresponding increase is from 482,000 to 742,000. 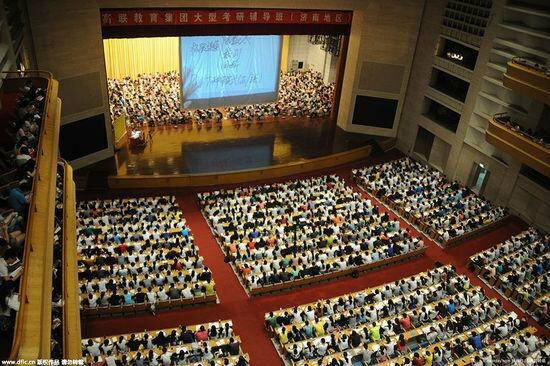 China also has an active recruitment program, called Thousand Talents, which it started a decade ago to bring back talented scientists who have established themselves abroad. Candidates are offered tax breaks and other incentives. These people, whose sense of nationalism encourages them to swim back home, are referred to as “sea turtles.” Six thousand scientists and entrepreneurs have returned to China under the program. Individual universities have their own programs; one seeks to recruit Ph.D.’s under 40 who have been accepted as a Thousand Talent, have conducted research overseas for three years and have a research or teaching job at a prestigious institution outside of China. In turn, the candidate will be promised research funding, subsidies from central and provincial governments, support for recruiting staff, housing allowances and help with the educational costs of his or her children. Non-Chinese are recruited as well. Recognizing China’s progress in technology and what its significance means for American competitiveness going forward underscores the importance of the current trade negotiations between that country and the United States. China has enjoyed emerging market preferences in tariffs and trade and has been charged with infringing on the intellectual property rights of others. As the second largest economy in the world, it no longer should be treated as a developing country. China’s carefully considered future as a world leader is based on innovation in both technology and the sciences as discussed above. Many of these goals were embodied in the “Made in China 2025” plan, and are critical for the longer-term “One Belt, One Road” global economic initiative. A real trade war would threaten to push China, the U.S. and even the world economy into a recession. Analysts estimate that there are 50–60 million Chinese people working to create the goods and services represented by the $500 billion in sales just to the U.S. last year. China has too much to lose to become distracted by a policy-driven recession. But that doesn’t mean trade negotiations will be wrapped up quickly and without tense moments, despite the understanding reached recently to reduce the trade deficit. So far, China’s response to the increasing demands of the U.S. administration has been described as modest, restrained or even “taking the high road.” There are a number of issues that will be deferred to avoid confrontations as long as possible. Perhaps President Xi Jinping can simply wait-out the current U.S. administration. China can play the long game better than any other country today and has proven that in any number of instances. Remember, the trade demands have escalated beyond simply narrowing the deficit with China. The newest demands hand-delivered by the President’s senior economic team in their early May trip to Beijing are likely unacceptable to the Chinese. The U.S. wants China to end state subsidies linked to its “Made in China 2025” initiative that provide competitive advantages to emerging industries against U.S. companies. Western complaints over the lack of intellectual property rights, technology transfers and joint venture requirements can be addressed by the Chinese; in fact, President Xi Jinping has already announced plans to change some of these policies. China can also increase its purchases of U.S. goods easily enough, as witnessed recently, but the more hardline demands of getting China to adjust its industrial policy – which the U.S. lacks – to support advanced industries defy easy or quick reconciliation. These advancements are crucial if China wants to avoid becoming stuck in the middle income trap. History proves that it is relatively easy for an emerging economy to lift itself up from a low income to a relatively comfortable middle income society, but the jump up to high income requires an economic overhaul. Only 13 of the 101 emerging economies in 1960 managed to rise into upper income by the 2000s according to World Bank estimates. China used its low income as an advantage to manufacture cheaply in the past and, as a result, created a middle class of approximately 400 million people. Now, to decrease the income gap between residents of the more prosperous eastern cities and those of relatively poorer central, President Xi Jinping is banking on “Made in China 2025” and the “One Belt, One Road” programs.